Winter isn't loosening it's grip. 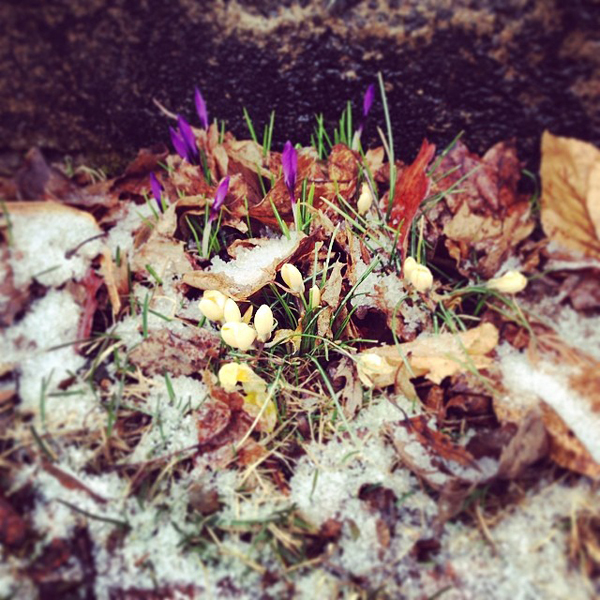 These poor crocus didn't know what hit them when we got snow this morning. 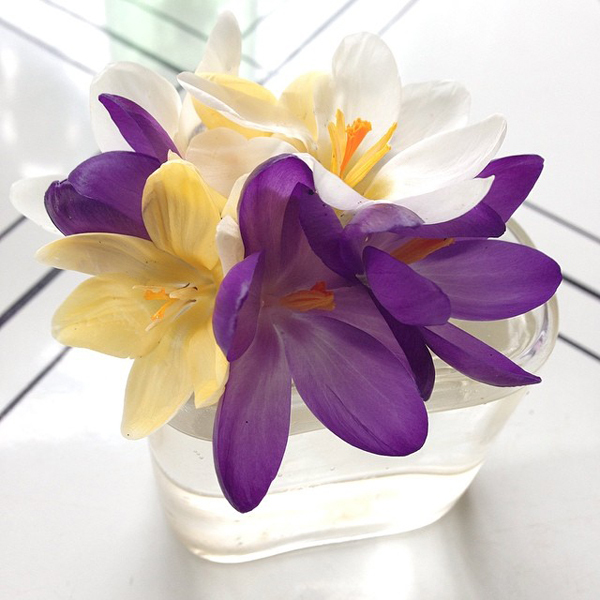 I brought some inside and they bloomed!